Hi all! 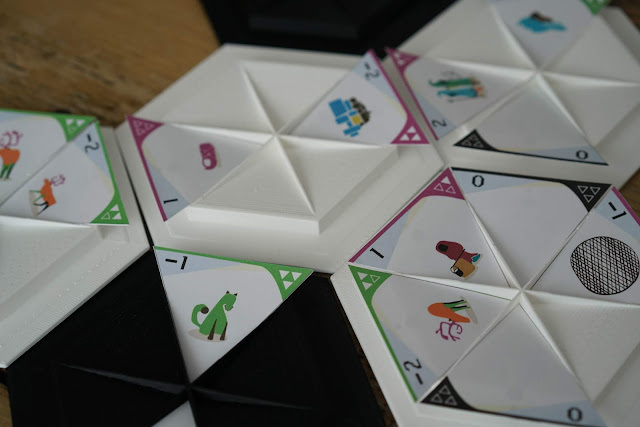 Today I have an interview with Thomassie Mangiok on Nunami, which Thomassie describes as "the first Inuit designed board game where a player can win by leading a balanced cohabitation with another player." 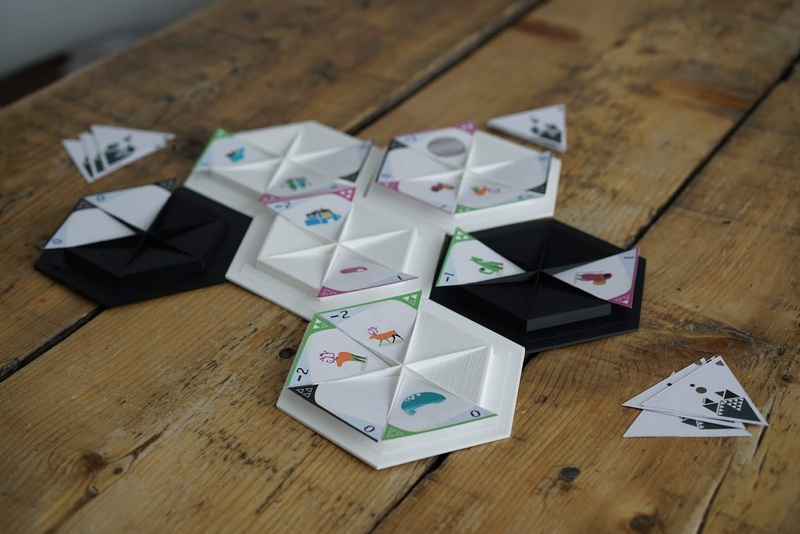 Nunami is currently on Kickstarter and I'd love you all to check it out, so here's what Thomassie had to say! Here is an example of board layout. Tell me a little about Nunami. What excites you about it? 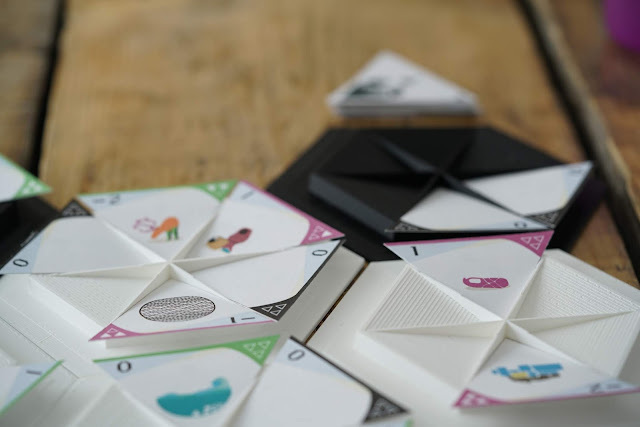 Nunami is a game of probabilities where each player will set the layout at each start in order to change how they explore the land; the game will play out very differently each playthrough. 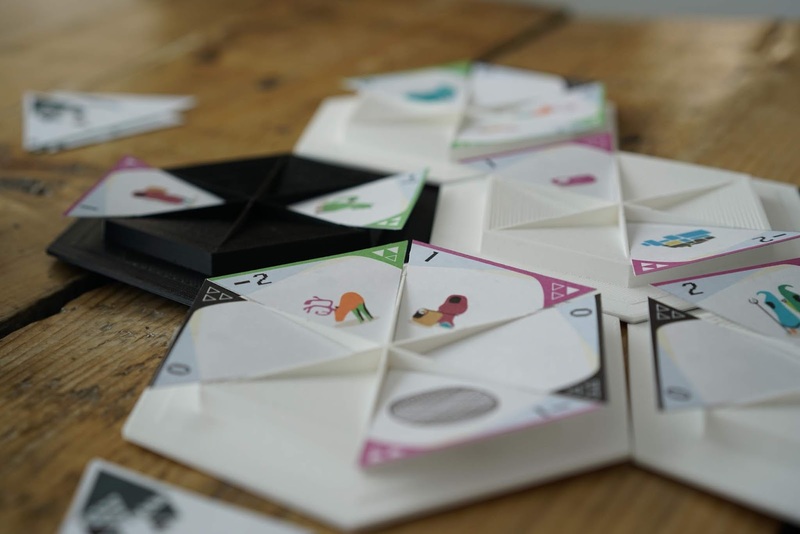 The game is meant to encourage through fun people to live with others, in respect and understanding. What excites me about the game is introduction of its concept and gameplay, it is most likely unique and new within a huge library of existing games. What inspired Nunami as a game? How did you come up with the concept? Life in the north, our culture and Star Trek inspired me in general. When I tell people that I am going hunting, the trust is that I am actually exploring the nature, it changes each time I travel, and I love every bit of it. It has been difficult for me knowing what colonization of Inuit has caused, exchanges of cultures would eventually happen but both Inuit and Europeans weren’t ready or well equipped for the damages that would happen. So the game for me is way to encourage people to accept differences, it also intends to encourage players to work with probabilities. I grew up having a difficult relationship with probabilities because as much as I loved it, it isn’t possible to master it since there are always factors while trying to set a path. Our culture evolved with small groups of people, so we grew up with open and supportive practices. These are slowly being replaced with what consumerism and capitalism demand, but they are important and should continue to be practiced so we can at least moderate our capitalistic characteristics. Star Trek series set goals and dreams for me, I just imagine how we can be in the future. So I mean to do my small part towards the future in which I’d like to live in. The designs on the game pieces are so cute! What are your favorite mechanics in the game and why? My favorite mechanics are the dependence of each player to be present - we absolutely need the resources provided by the other player in order to win. If my cards over populate a base, they will automatically be removed. Giving the other player more chance to control the base. The other thing I love is how we can set the start of the game; the layout of bases and the cards change our game experiences and strategies. Has the inspiration from Star Trek influenced what players do in Nunami, and if so, how? Star Trek has inspired me and influences me in my actions, the goals of the federation always have resonated with my values. Exploration, understanding, living with beings of different cultures, advancement guided by passion, and so on. My game isn’t directly inspired by anything else except by my person beliefs and love. Moving away from colonizing narratives is awesome! What do you hope players take away from the game about a co-existence narrative instead? My hope is that we stop fearing, we often oppose others in fear of being less than others or of being harmed. The easiest way to stop fearing becomes to completely remove those that represent it, not the source. Racism, jealousy and anger are examples of what comes from fear and we as humans have to live beyond them. Why not through a game? I’d be happy if people are enriched by sharing the positive sides of different people, share and adopt what makes us healthier. If someone or something will make us healthier at an expense of our familiarity and comfort, make it a part of us. It is great to be able to share this view. I like the simplicity of the design and how it isn't quite like anything I've personally interacted with. Awesome! Thanks so much to Thomassie for the interview! 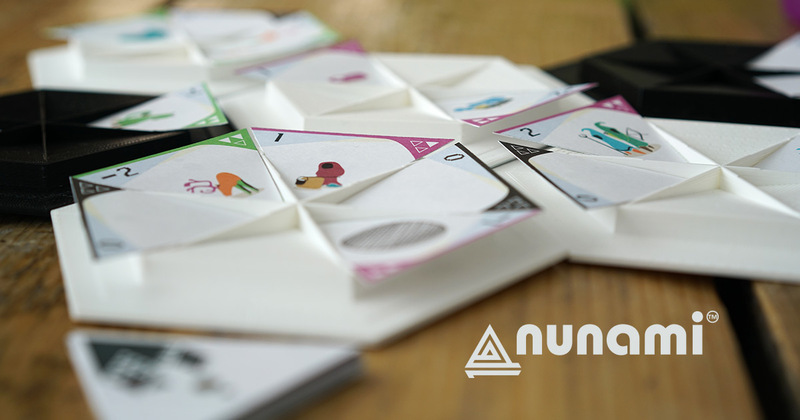 I hope you all enjoyed the interview and that you'll check out Nunami on Kickstarter today!